To Understand Or To Ameliorate? How does the mind work? More specifically, how does your mind work? That is what I am curious about. Does that mean I do not care about my patients and that I am only on a journey of understanding? Of course not. This struggle between the therapeutic basis of the relationship versus the need to understand unconscious motivations seems to be a weak fight in that they are complimentary. The central question is what is the agent of change. Is it the bond the patient forms with his therapist or is it the patient “learning” the secrets and lies which underlie his “analytic surface”? How about, both are true? Or, why do we care as long as the patient gets better? We care because we aim to help people and we aim to teach new therapists how to help people. If the relationship heals then the content of the therapy is not relevant. On the other hand, if the understanding is key, then maybe we won’t wish the patient a happy birthday. I find this discussion tiresome and yet my job tonight is to review these ideas with bright and eager students. I will take the unpopular stance and say that we do not know the agent of change, ever. In fact, it is a surprise when patients get better, not because we don’t have a lot of training or experience, but because the one thing that seems certain is that patient, no matter how much they consciously express a desire to change their way of being in the world, the pull towards sameness is very strong. Hence, when a person grows and sees himself as a third person in order to understand his own struggles, the work is both rewarding and astonishing. What distinguishes psychoanalytically trained therapists from cognitively oriented therapists is that we accept that change is not going to come easily, if at all. Through this understanding we have joined the patient in his rigidity and we propose an opportunity to loosen up the joints in that box the patient has put himself into. Like Houdini’s work, the escape is crafty and creative, and not linear or easy to see. Knowing the dark halls of interior mental life, we tread slowly and gently, with great respect for what is around the next corner. We take time and patience as we are wary of what we will uncover with even gentle probing. We imagine the challenges their life presented to them and this helps the patient feel less alone, but it may not help the patient cope with his circumstances. Coping skills developed over many years. Adding new coping skills and/or getting rid of old ones is not a linear process. So, what is the technique? I imagine a student will ask. To which I will respond, you imagine the life of your patient, both past and present, and from there, the narrative begins. Do We Talk So We Don’t Have To Listen? 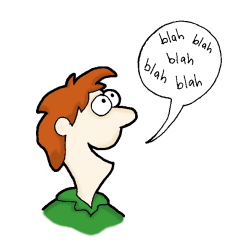 Talking and listening are different skill sets. Some people talk to stimulate conversation, whereas others talk so they do not have to listen. 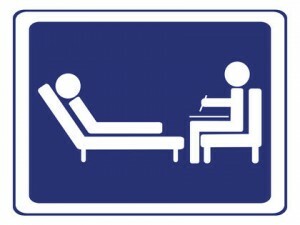 This art of conversation borders on the art of psychotherapy. When should I speak and when should I listen? This is the basic technique question of therapy. The rule of thumb is that listening kicks off a session, but when the talking seems to go to a defensive place, a place of boredom or cliché, then my job is to probe deeper into why the patient has lost his meaningful narrative. “I want to ask you something,” Ashley, sixty-nine, says. “I want your medical opinion about my friend’s cancer,” she continues. Why did she start off by saying that she wanted to ask me something, as opposed to just asking me something. Is she anxious about her friend, or she avoiding other, more meaningful things on her mind. She wants my “medical” opinion, but she knows I am a psychiatrist and not an oncologist, so the internet, likely has more information than I do. What is with this formality? I wonder. I have known her for many years and I see her frequently, yet the formality persists through time. Am I rude to avoid her question and ask her about her question, or does she know that I am going to do this, since we have done this dance for years? With Ashley, the opening remarks speaks volumes about her mental state; she and I have come to understand. She treats me like a boss that she has to interrupt in order to get her attention. She wants to flatter me by asking me my opinion. She does not know how to mine her mind for the internal gears which churn out pain and despair, and so she avoids the deep work by engaging me in a discussion about cancer. She avoids her fear of loss and her own mortality; issues which are bound to come up when a friend is facing a potentially lethal diagnosis. Like a good book, the first sentence sets the stage, but in this case, for Ashley, at this moment, it is all unconscious. Anger, frustration, rage, what is the difference? All speak to a profound sense of helplessness and confusion. Molly, thirty-three comes to mind. She just lost her job in the midst of her painful divorce and lengthy custody battle. 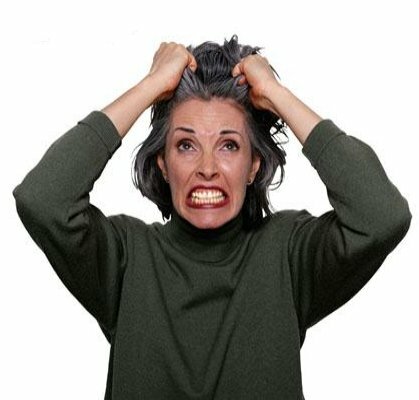 She yells, seemingly unconsciously, about how her life is so bad and it will never get better. “Do you know that you are yelling?” I ask, because in her screaming she seems detached from her inner world. “I am not angry. I am frustrated,” Molly insists. “Is that an important distinction?” I ask, wondering why she is parsing out her ill feelings. “Maybe culturally speaking, it is not acceptable for a woman to be angry, but it is acceptable to be frustrated?” I suggest, as she thinks about her words. “I just never thought my life would be this way,” Molly says, with the tone suggesting the rage associated with the injustice of the world. “What did you expect?” I ask, wondering why she thought her life would unfold smoothly. “I went to school to have a stable job and I married a man who I thought I could spend the rest of my life with.” she says, as if someone broke the contract which said that Molly was going to have all that she imagined. “It is hard for you to wrestle with your relationship going sour and your job going sour at the same time?” I say, suggesting that all of life involves risk, which, perhaps, Molly denied, up until the time that the pieces began to tumble. “Yes, I was in horrible denial,” she agrees readily, “but what am I supposed to do now?” She begins to scream again. “Maybe if you could reflect on how you got here, you could move forward in a thoughtful way,” I say, knowing that she is hoping I would give her a specific directive, but also knowing that she needs to calm down in order to think clearly. “It is hard when I am so worried about money,” she says. “Well, it will even be harder if you do not slowly consider how you want to navigate this next chapter in your life. The more control you have in making these decisions, the less angry or frustrated you will feel. Molly calmed down. She seemed to envision taking charge of her life, and in this fantasy, she could diminish her tension. Once again, the mind is a wonderful place to visit, even when the journey begins with a horrible sense of constriction. “That doctor gave me Zyprexa after talking to me for seven minutes,” or so I have heard, so many times, from so many patients, particularly patients who have been psychiatrically hospitalized. On the one hand, I can understand that diagnosing psychosis is often a quick endeavor, and Zyprexa is an antipsychotic, so that is a linear and logical path. On the other hand, the patient cannot develop confidence in his treatment after such a brief encounter, where the psychiatrist has most likely not inquired about his social or cultural history. Yes, this history could have been obtained by a non-MD professional, but is there value in the physician asking the questions so that he/she can hear not just the answers, but how those answers are formulated? Is there value for the patient in spending time with his physician so that he can develop trust in order to increase the likelihood of compliance? All my readers know my perspective. Spending time with patients is a critical art that psychiatrists must learn and practice to develop an understanding of patients and in order for patients to develop an understanding of themselves. Prescribing psychotropic drugs is an enormous privilege, which can only be done judiciously after thorough history taking, and relationship building. The privilege to give a medication that alters mental functioning must be treated delicately and respectfully. This requires time, patience, skill, and education. Our field is doomed without that. I live in fear. Lonnie, sixty-one, diagnosed with terminal pancreatic cancer, tells Brady, seventy, female, since they have been friends for fifty years. Brady has an internal and an external reaction. Her external reaction, predictably, is one of concern, with offers to help in “any way” she can. Her internal reaction, though, troubles her. “I actually felt relieved that she got cancer and that I was still healthy,” Brady says with a sense of both guilt and glee. “It is as if you felt that there was one cancer ticket out there and she got it and so now you are in the clear,” I say, pointing out that our minds take us to interesting places and being mindful of where we go creates a depth to our awareness. The fear that a cancer diagnosis generates for all is palpable in Brady. Superficially one imagines that when a friend has a terminal disease, we rally to the cause with both concern and altruism, whereas, the complicated nature of “why not me,” creates another layer of feelings which can be both troubling and relieving. As narcissistic beings, all news is filtered through our own wishes and fears, and that layered over, our higher cognitive functioning kicks in, allowing us to be more giving and understanding of the other. The more Brady can understand what Lonnie’s diagnosis means to her (Brady), the more open she can be to understanding what the diagnosis means to Lonnie. As with all troubling news, the person grapples with how to integrate it into the mental space, and the more difficult the experience, the more likely that guilt and/or fear are going to dominate the mental landscape. For Lonnie, Brady tells me, has handled her diagnosis matter-of-factly, suggesting that she has not started the emotional journey of dying. For Brady, her guilt at feeling she missed the bullet, troubles her, and causes her superego to scream that she is a bad and unworthy person. At the same time, she is fearful that Lonnie will get wind of Brady’s relief that it is not her (Brady), and so she unconsciously keeps her distance from Lonnie. She tells Lonnie that “she is coming down with something so she better stay away,” leading me to wonder if this avoidance is secondary to Brady’s discomfort with Brady’s internal world. Working with layers, Brady can come to see that all feelings are welcome, and as such, behavior is another story. Being depressed, feeling blue, feeling anxious, all feelings which create unease, are part of the human condition. The meaning we give to these feelings, and the tolerance we have for these internal expressions, are one way of understanding the hierarchy of mental health. For some, uncomfortable feelings cause an immediate need to distract, by healthy means like exercise, or unhealthy means, like alcohol. Living with the feelings takes the courage, and the faith, that feelings are the journey of life, and like all journeys, the scenery changes, even if one is not sure when that will happen. Stacy, twenty-four, comes to mind. She is a bright graduate student, enthusiastic, and well-meaning, and yet, when her match.com date goes South, she immediately feels the urge to call an old boyfriend and be reassured of her desirability. She knows that calling Ko, will ultimately lead to a battle where they both accuse the other of using them, but “I just can’t help it,” she tells me, again and again. “Maybe it is so hard to tolerate disappointment, particularly disappointment in the dating arena,” I say, helping her to be more conscious of her urge to call Ko. “Yes, I hate it when I get all excited for a date, and then the guy is not what I think he is,” Stacy says, with an endearing honesty. “Yes, I can see how hard that would be, but I don’t see how calling Ko helps you out.” I say, wondering aloud if she can see that short-term gain is not worth the long-term pain. “Yes, but it is hard for me to sit with the feelings that I may never meet someone,” Stacy says tearfully. “You are scared, and I understand that, but I wonder why you jump from a bad date to you will never meet someone.” I say, reminding her that the present disappointment does not necessarily mean future disappointments, but at the same time, understanding that given her family background, she has suffered so many disappointments, it is hard for her to have hope. ‘I think a bad date brings up painful memories of how your dad disappointed you, and that is why you feel compelled to call Ko,” I say, reminding her that her past upset with her father gets reignited with every unfortunate internet date. “Yes, I feel that,” Stacy says, “I feel that intensely.” “The more you can sit with your feelings, rather than taking action, the better things will be for you,” I say, in a clear maternal way. Stacy understands, but feels doubtful she can change. “See you next week,” she says, remarkably cheerfully. “Yep,” I say, heavy-hearted, but optimistic. Penny, forty-seven, has a nice husband, three teenage sons, a good job, financial comfort, plenty of friends, and yet, she feels something, she is not sure what, is missing from her life. She comes to me searching for what is missing, searching for why she feels unsatisfied. Her life, she tells me, has come to feel mundane. She wakes up, packs the kids lunches, takes them to school, goes to work, comes home, makes dinner, helps her kids with their homework, only to start the routine all over the next day. She is also an avid cyclist, where one weekend a month she does century rides, meaning she rides 100 miles in one day, reminding me that she does take time for herself, to do what she wants, so she does not just feel like her life is constantly doing things for others. She loves her kids and her husband. Her family of origin is emotionally distant, but she seems to have come to terms with that. She describes her mother as “horribly narcissistic” and her father as “non-existent,” even though her parents have now been married for over fifty years. “What do you think is going on?” I ask, wondering whether the issue is her sense of ownership over her accomplishments. I float the hypothesis in my head that although her life looks great from the outside, on the inside, she has never felt like the steward of her own ship. I am wondering if she feels like a “victim” of good things, in that her life has worked out well, but almost, by accident. She responds, “I think I just feel lost. I don’t know how I got here and I don’t know where I am going. What will my life look like when my kids go off to college? Right now, they are my anchor, but I know soon that won’t be there and then what?” As Penny talks, I begin to feel her sense that life is taking over her and she is not taking over her life. I have this strong feeling of helplessness coming from her. “Do you think you could find another anchor?” I ask, helping her to think that she can feel in control of her life, while at the same time knowing, that many things in this world are out of our control. “Yea, I think I can, but before I had kids I did not have one, so I think it is going to be particularly hard for me.” Penny explains how her kids gave her a sense of gravity and she is very fearful of having that free-floating experience where life feels constantly uncertain. “Your friends and your husband don’t seem to make you feel like you belong somewhere, in the way that your kids do,” I ask. “Yes, that is right,” she says with the enthusiasm of feeling understood. “My husband and friends can find other people in their lives, but my kids have only one mother.” Penny responds quickly, suggesting that she has thought about this before. “Yes, that is true, but maybe you have put up walls with both your husband and your friends which don’t allow you to get too close to them,” I suggest, thinking that her only deep emotional investment was with her children, and so now she is running scared. “I think there is truth to what you are saying,” Penny says, with sadness and despair. Celeste, forty-one, opens the session, “Larry told me I was a bad hugger.” I do not know who Larry is. She has never mentioned him before. Celeste looks perplexed, if not a little hurt. Where do I go from here? Do I ask her about Larry? Do I wait for her to give me more material? Do I ask how she felt when he said this? I opt for waiting, but Celeste does not continue. I am curious about that. It seems as though Celeste feels both bad about herself and hurt by this comment, all at the same time. Her silence seems to suggest a certain uneasiness in talking about this. “I don’t know Larry, but it seems like his statement penetrated you.” I say, opening up a conversation about the meaning of her opening and the meaning of her cryptic speech. She knows that I do not know about Larry. She has given me an appetizer, as I await for the main meal. “Well, of course it is insulting. Wouldn’t you be insulted?” She asks me, in a rather defensive, and not reflecting, tone. “I am curious why this matters to you and what you took it to mean.” I say, trying to encourage some ways to think about her experience. “I felt as if he was saying I was cold, and maybe I am, but what was I supposed to do with that information? I told him I needed lessons, but then he laughed.” Celeste explains how she felt insulted and helpless at the same time. “Were you trying to give him feedback about his comment?” I asked, pointing out that she responded with humor, perhaps in the hope that Larry could understand her helplessness. “What about the fact that you feel you may, in fact, be cold?” I ask, as this came as a surprise to me. “Temperamentally, I may be a cold person. I do not know if it is how I protect myself from getting hurt, but obviously, in this case, it did not work very well,” and then she laughs at her own comment. “Larry is a friend of mine,” she quickly adds, suddenly wanting to orient me to her life and how he fits in. “Maybe not telling me about Larry for the first forty minutes of our session is also a way of protecting yourself.” I say, suggesting that her cryptic beginning stemmed from fear of judgment, both mine and hers. “It is really not such a big deal,” she concludes our session, clearly minimizing her feelings, and wanting to leave with a crust, and not feel so vulnerable. “You tell yourself it is no big deal, when you mean that you wish it were no big deal.” I say, helping her recognize that she is speaking in wishes and not from her internal mental state. “Maybe if I tell myself that, it will be true.” Celeste explains a reason for her defensive comment. She is hoping to seal over the pain. She can see that there are levels of awareness and as our session concludes, she wants to return to a more unconscious, and wishful state. Luckily, I do not have to hug her goodbye. Hedda Bolgar PhD: A Life Well Lived! My colleague, Hedda Bolgar PhD, practicing psychoanalyst for 80 years, passed away yesterday at age 103. Her mind was vibrant. Her compassion was enormous. Her vision for the future was spot on. She taught, she saw patients, she started a free-standing psychology graduate school and a psychoanalytic institute. Los Angeles Institute for Psychoanalytic Studies (LAISPS), an institute that I am on faculty, came to life because Hedda recognized that psychologists, social workers and MFTs, needed a place to explore psychoanalysis. This was at a time when the American Psychoanalytic did not admit non-MDs (other than academics) into their training programs. LAISPS carries Hedda’s tradition of understanding that although the world is changing rapidly, what does not change is an individual’s need to share their stories, to be listened to, to be understood. No medication, no neuromodulation device, no psychosurgery, will ever change this. She was a wise woman because she realized man’s evil, as she lived through and protested against the Nazis, yet at the same time, she loved life and she loved people. Her home was a constant place for get-togethers to share stories, do book signings, and plan conferences. She was warm, intelligent and caring. She often voiced how she understood that working into her sunset years meant that she would inevitably abandon those who depended on her. She was open and honest about her impending departure from this material world. Her strength of character came through with this brutal honesty and integrity. She was both ambitious and nurturing, a combination that is rarely seen. She wanted to make a mark on the world, while at the same time, helping her colleagues and her patients strive to be the best that they could envision for themselves. She was a visionary, both for herself, and for psychoanalysis, but for those who came in her path. I was fortunate to be in her path, although in a small way, allowing me to feel her goodness, her reliability and her strength. Her loss is huge, but so is her legacy.